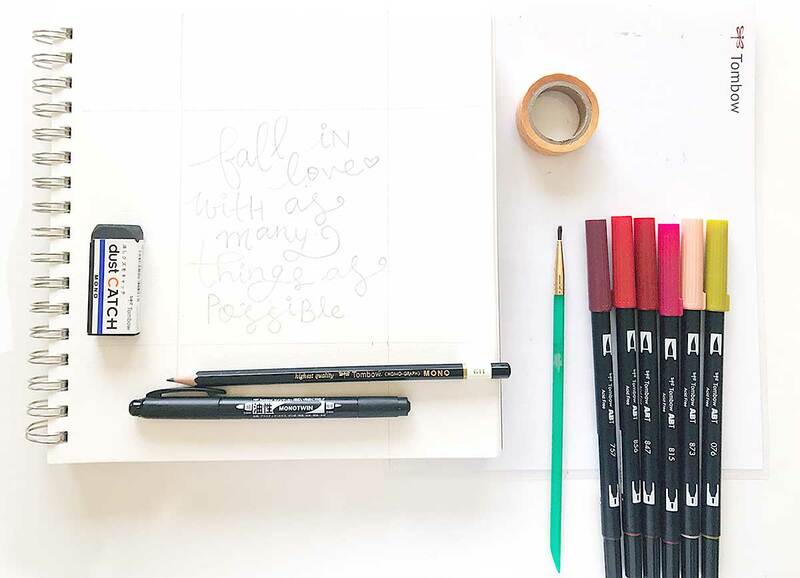 Hello friends, it’s Smitha here with a new blog post with my favorite Dual Brush Pens. 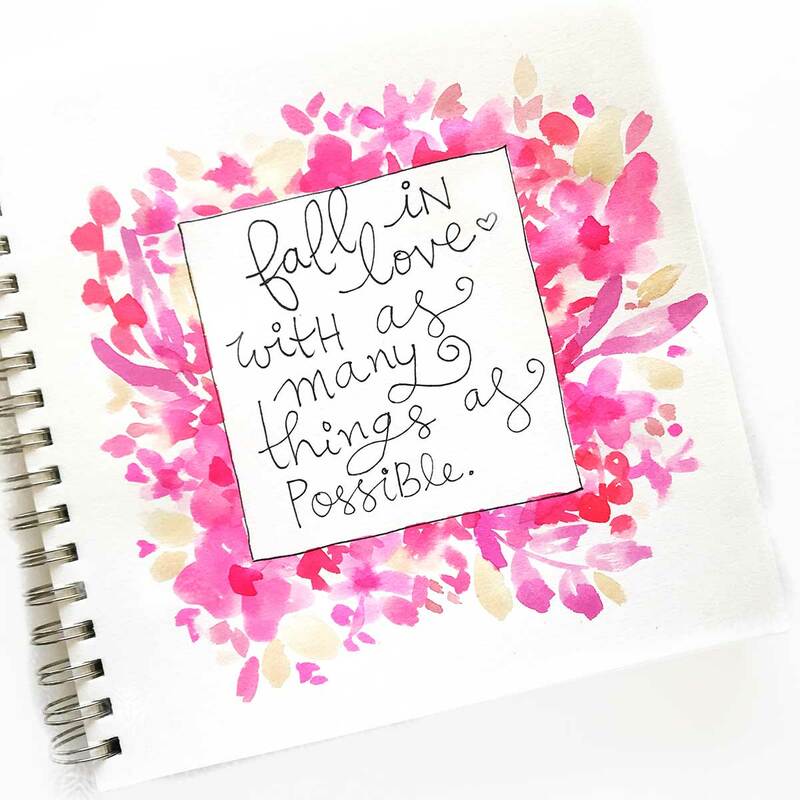 Valentine’s Day vibes are in the air and this inspirational love quote is making me smile. Click the video box below to see this illustration come alive from start to finish or click here to watch it on YouTube. Letter in your quote with a pencil. A light pencil sketch that is easily erasable later will help us figure out the placement of letters and center it correctly. 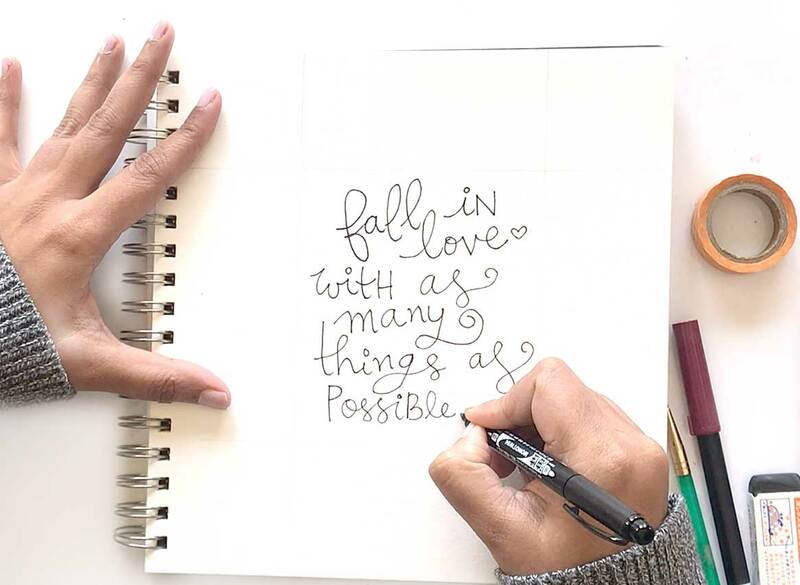 Erase your words as much as you need to until you have a fun lettering sketch. I also added four lines to help me mark my square frame here. Once you have your pencil sketch in place, erase it lightly and go over the lines with the black pen. Having the pencil sketch underneath makes me feel more confident while adding the black ink in place. Choose your color palette. I chose a few Tombow Dual Brush Pens for my illustration today. I added them onto the XL Blending Palette to create a palette of colors today. 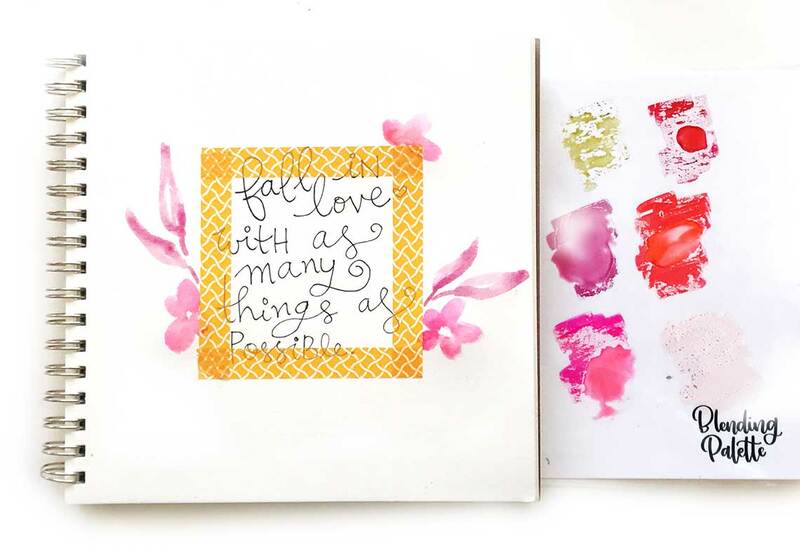 Next, add the washi tape or tacky tape around your lettering to create a frame. Then dip your paint brush in water, pick up the color off the Blending Palette and have fun painting loose flowers and leaves. Remember this technique works best on mixed media or watercolor paper only. After I finished all the flowers, I let the colors dry for a bit and then peeled off the tape to reveal neat lines. I then added a simple line around the square to help define it better and finished off my sketch. And there you have it! 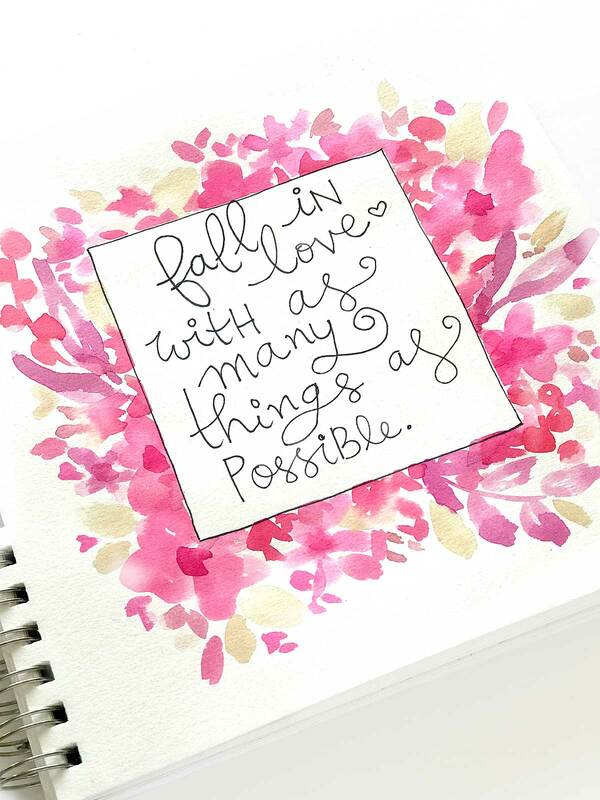 An inspirational love quote with bright colored watercolor florals. I hope you find this brush pen art idea useful and enjoy creating something yourself!